This image was in fact just a test following the setup detailed on this thread about Vue car paint on the Renderosity forum (login necessary). 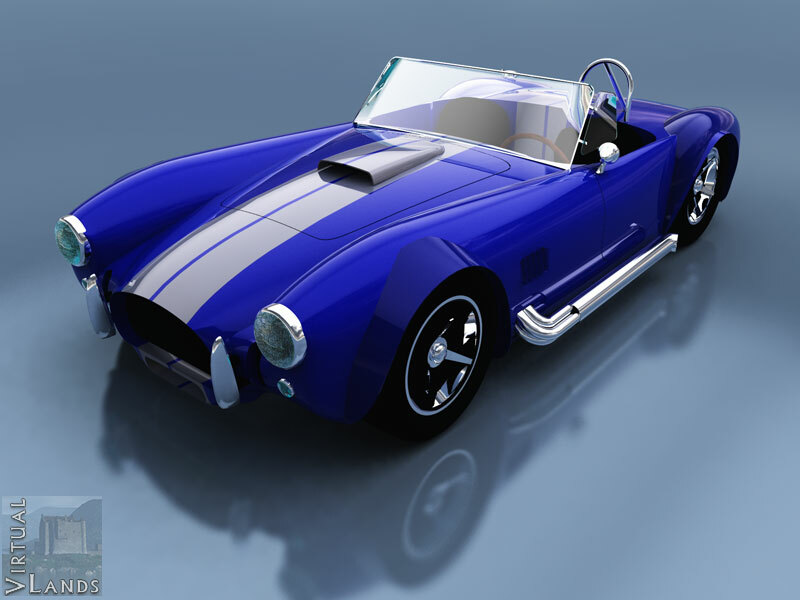 The AC Cobra is a free model. I do not remember where I found it.